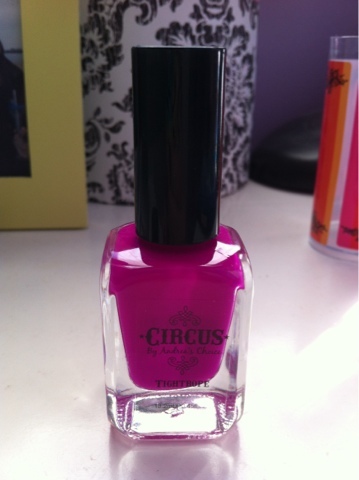 My first nail polish for Fall is Circus By Andrea's Choice in "Tightrope". 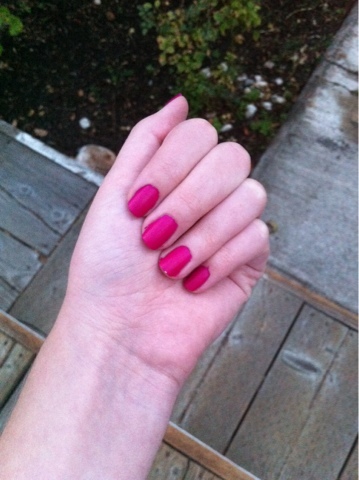 I thought that this would be a great transitional color from Summer to Autumn. 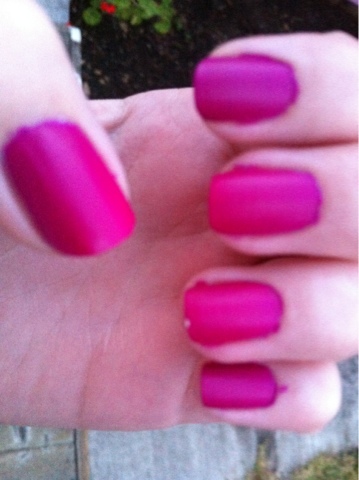 It is bright and fun enough from Summer but plumy and purple for Fall. 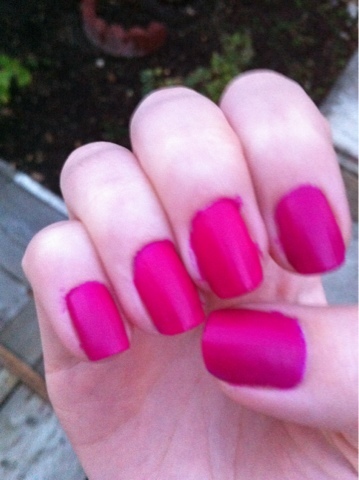 Review- The nail polish is very matte and has a matte finished when it is dry. I would recommend using a top coat with this nail polish. 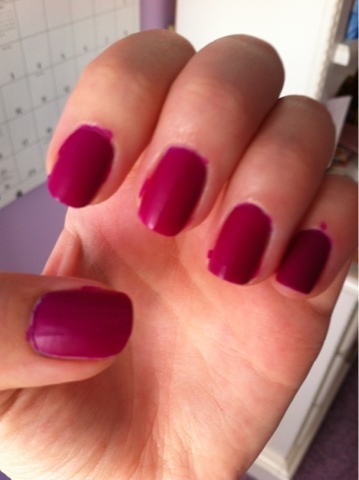 As you can tell from the photos, it chipped after only wearing it a few hours without a top coat. Usually it take me 4 days before my nail polish chips. Tightrope is a nice fun color but I may be forced to repaint my nails soon. Update: The nail polish was chipping like crazy! After just a few days, half the nail polished chipped off. It was also a pain to remove. I was really surprised because it did not have any shimmer or glitter. I am sure the I will never wear this polish on its own again.